Join us for family. friendship. training. community. new opportunities. Members enjoy a variety of lifelong challenges and rewards. Time committment is flexible. Rewards are endless. Throughout your career we offer optional, advanced hands-on and classroom training. 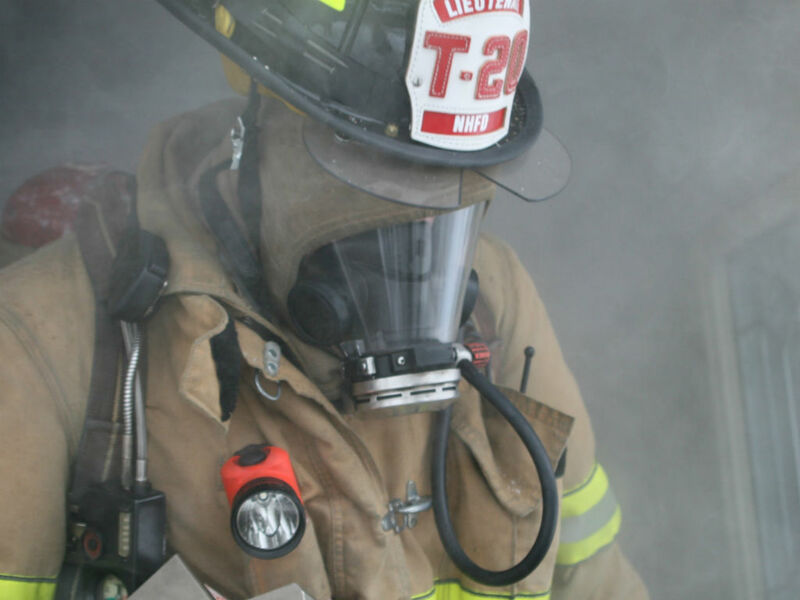 We train all members to a minimum of Firefighter 1 certification, recognized and transferrable nationwide. Members are individually asked to annually respond to 10% of calls and 12 drills. When you show up and how often, are your choice. There's never a better time than now to explore, with no obligation, what membership can look like for you. The challenge is yours, the rewards are endless. 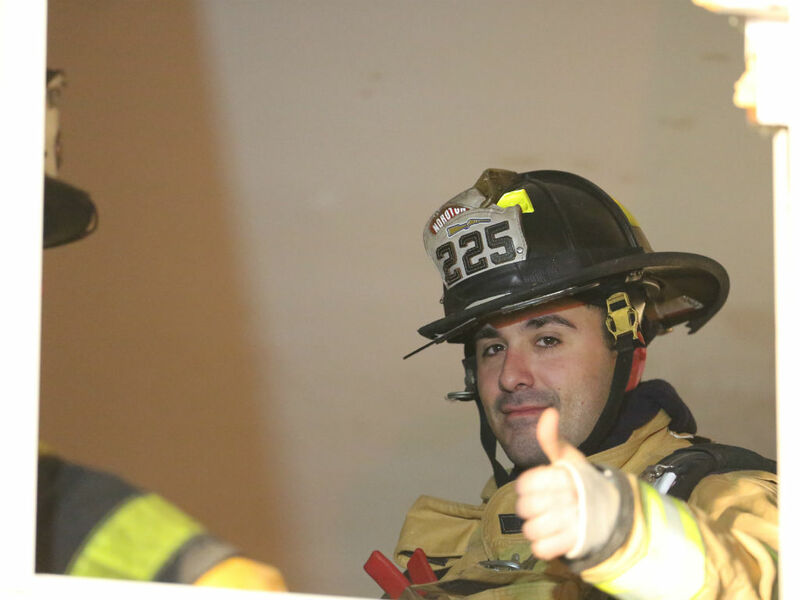 Our department is a 501(c)(3) non-profit, charitable organization that provides fire protection to the Noroton Heights area of Darien, CT and responds to alarms town-wide. 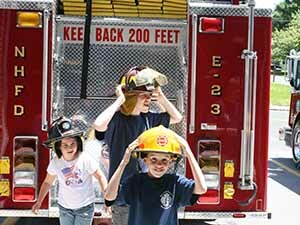 We are a 100% volunteer organization with advanced apparatus outfitted with cutting-edge tools and technology. Members are paged for every call, leaving their homes or places of business to respond 24/7 to the town's full range of calls, from simple alarms and major fires, to hazmat, heavy rescue, cold water rescues and even mass-casualty incidents. 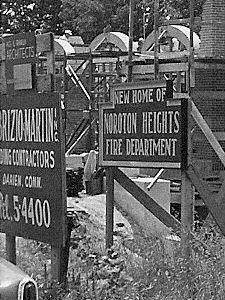 NHFD was formed in 1903 after the Waterbury Farm caught fire and caused overwhelming damage because of the long response time from Darien's existing fire departments which were located too far away to provide adequate fire protection in the Noroton Heights area of town. After the fire Patrick Darley (owner of Waterbury Farm); William Dugdale; the Bennett and Dolan families; and a few concerned citizens formed Noroton Heights Fire Department to cover the section of Darien lacking adequate fire coverage. On May 12th, 1903 the Noroton Heights Fire Engine Company Number 1 was formed with thirteen men under the direction of William Dugdale. 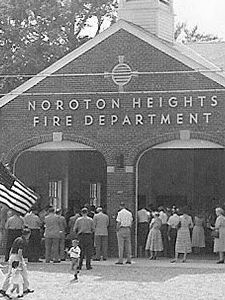 The Noroton Heights Fire Department celebrated its 115th anniversary in 2018. 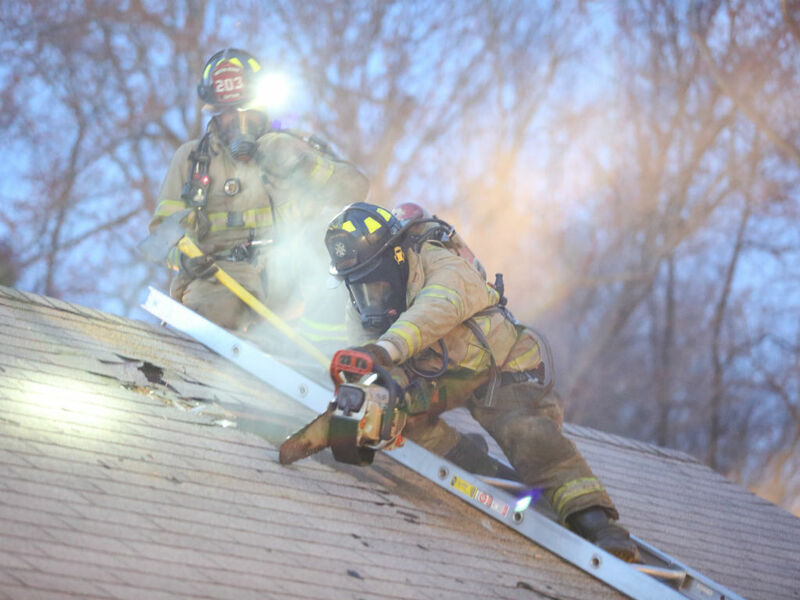 The department has grown from quarters in back of a blacksmith shop with thirteen men and one hand-drawn engine to a two-story brick building with 100 men and women and six pieces of emergency fire apparatus. Noroton Heights celebrates 100 years of volunteer service for the town of Darien. Members of Noroton Heights Fire Department received home radio systems to be alerted to fire calls. A signal was sent over the radio frequency which alerted the home radios. The police officer, who was the dispatcher, would then announce the location and type of call. 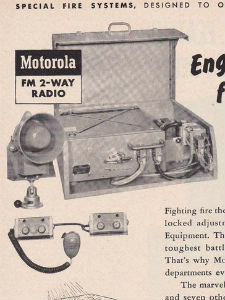 This system was especially useful at night when the firemen might not hear the whistle or for those who live to far way to hear it. The new building's construction was completed and the fire department moved to Noroton Avenue. The dedication and cornerstone ceremonies took place on May 29, 1955. 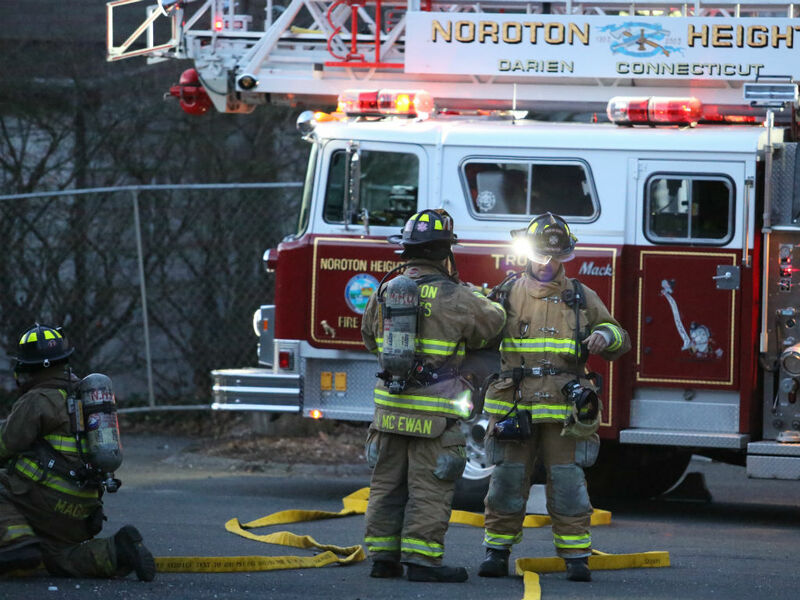 Plans to build the Connecticut Turnpike through the Noroton Heights business district forced the fire department to relocate and build a new firehouse. The department bought land on Noroton Ave, where it is presently located, from the Town of Darien for $1. 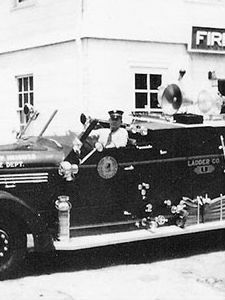 At the same time, short-wave radios were installed in all Darien firetrucks at a cost of $2,670. 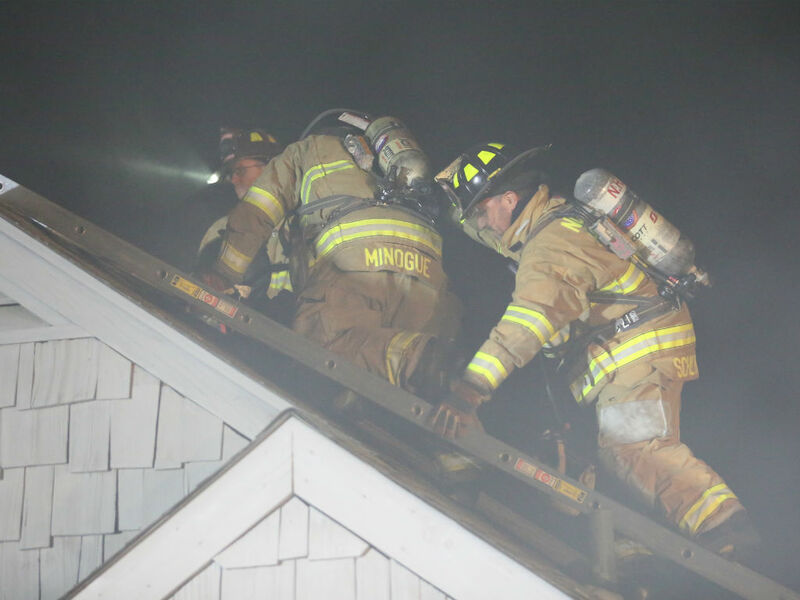 They operated on the same frequency as the Darien Police Department, but problems arose when the police had a robbery and NHFD had a house fire, which caused too much confusion and radio traffic. 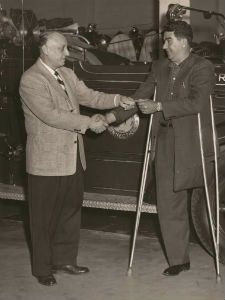 A new Mack pumper truck was purchased for $8,300, and the 1933 Reo pumper was sold to Swayerville Fire Company in Pennsylvania for $750. 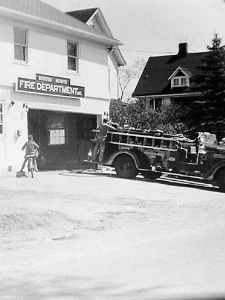 A “picture-box” TV was purchased for $435, a Seagrave City ladder truck was obtained and the 1920 Reo ladder truck was sold to the Trumbull Volunteer Fire Company for $200. A telephone was installed in the firehouse for the first time. The department is incorporated as a 501(c)(3) charitable, non-profit entity with the name Noroton Heights Fire Department Incorporated. A Seagrave pumper truck is purchased. 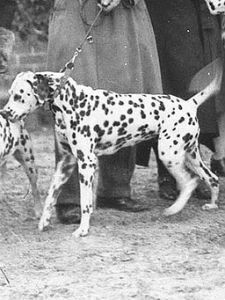 A Dalmatian mascot "Major" began frequenting the firehouse; the problem was he liked to bite. This did not seem to bother the firemen, and he could frequently be seen napping around the station as the firemen cleaned the trucks. A Reo hose truck with Pirsch pump is purchased. A small Reo hose truck, in doubtful condition, is purchased using the department's small resources. The department also purchases land located next door to the firehouse. A Reo ladder truck, and an AM radio are added for the firemen's enjoyment. The department purchases its first pumper, a 350 gallon Packard. It stays in use for 15 years. 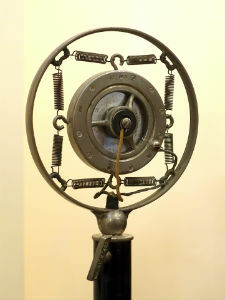 A whistle was installed which was operated by the telephone operator until 1933, when the fire whistle was operated by the Darien Police Department. 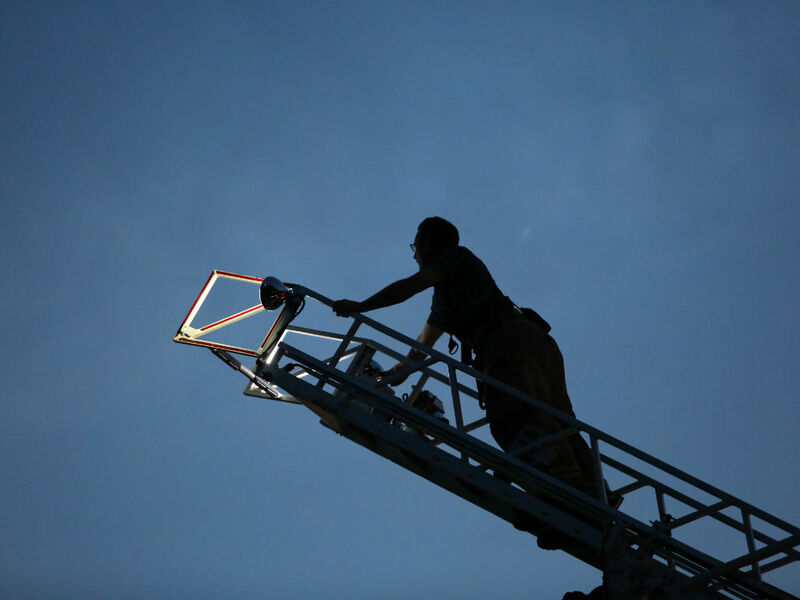 The firehouse gets its first electric lights installed. Land for a new firehouse was bought in 1916 on Hecker Avenue (what is now Ledge Road), with construction completed the following year. The new buildidng was required to house the expanded apparatus purchased by the department. The members purchased the lumber and materials, and built the firehouse themselves. 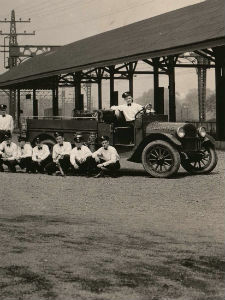 Upon completion in 1917, the department purchased its first gas-powered vehicle with members assembling the vehicle themselves in their new firehouse. 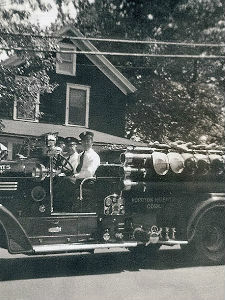 The Noroton Heights Fire Engine Company Number 1 was formed with thirteen men under the direction of William Dugdale. 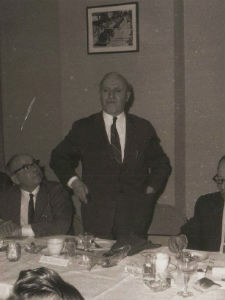 Founding members were Patrick Darly; William Dugdale; the Bennett and Dolan families; and a few other concerned citizens. The first firehouse was located in a blacksmith’s shop behind Mr. Dugdale’s new store. William Dugdale loaned the company nine hundred dollars to purchase its first piece of equipment. The “gig” was purchased on June 24, 1903 with a loan of $900 from William Dugdale. 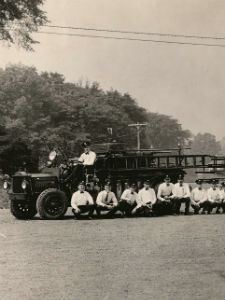 NHFD was one of the first departments in in the State of Connecticut to own this advanced piece of apparatus, and saw its first use at the railroad freight house on November 25, 1903. From the time the department was dispatched at 10:30pm, the fire was under control in 10 minutes, with the fire completely extinguished by 11:15pm. The railroad said the building would have burned to the ground if not for NHFD's prompt response and engine; they sent a $50 check and a Thank You note in appreciation for the work of the 11 members who responded to the fire. A few months later the "gig" worked the Stamford Town Hall fire, on February 4, 1904, with Noroton Heights the fire out of town department to arrive, followed by Greenwich, Port Chester, and Bridgeport. 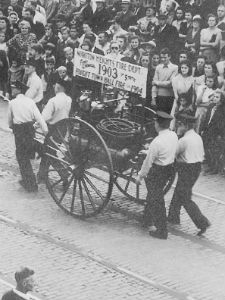 After the fire, the Noroton Heights firemen brought the gig back on William Dugdale’s sleigh, arriving back at the station around 1:30am the following morning.